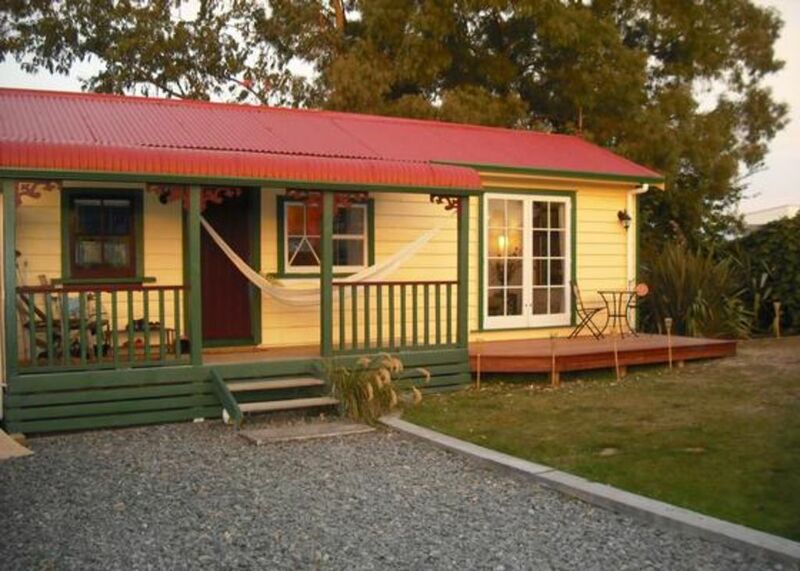 This is a typical kiwi bach with a mixture of original and new. A perfect place to chill. Mountain buggy available if needed. * Minimum two night stay off peak and 3 nights during summer. * Prices quoted for two guests, additional guests $20 per night each. * Pets welcome $10 per night with prior approval, but not on the beds or sofas please. The cottage was comfortable and great for kids. Nice little place. Probably cost a bit to much for what it is. Nice little to place. Thanks very much. Charming really sums this up. The attention to detail was brilliant, colour matching all the accessories and so much thought into the whole property. This really felt like a bach right down to the squeaky floorboards and hardboard floors. Could have stayed longer and hope to come back again to chill out in the peace and quiet and sunshine. Thank you for sharing!!! Our family enjoyed our time and the kids loved the toys! Second stay there suits us well for our wee family. Great central location. Garden is ideal for dogs.